PLACE OF BIRTH: Kippen – Ontario – County of Huron – Ontario. BROTHERS: Richard and Edwin – Kippen – Ontario. John who is in Seaforth. Private Sidney Talor – killed in Action in North-West Europe – October 14, 1944. SISTERS: Mrs. Margaret Allen – Kippen – Ontario. Mrs. Frank Young – Vancouver – British Columbia. ENLISTMENT: June 24, 1940 – London – Ontario – into the Active Service Force. Melvyn completed his primary schooling in 6 years and then left school at the age of 13 years. Melvyn liked to have a bottle of beer just before his meals as he said it gives him a better appetite. He took life seriously and once his mind was made up it was very difficult to change his thinking. He liked sports such as baseball and he enjoyed shooting. He also enjoyed “hill billy” music. Prior to his enlistment he worked as a labourer, was a stone crusher and then a farmer. June 24, 1940 – Private Taylor to the Royal Canadian Regimental Depot – London – Ontario. July 11, 1940 – to – No. 1 Infantry Reserve Training Centre – Camp Borden – Ontario. 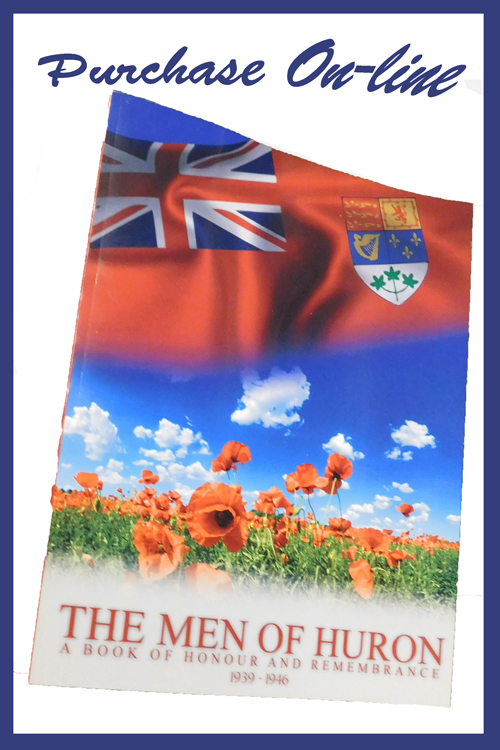 January 25, 1941 – granted furlough from January 25 – February 7, 1941 – Camp Borden – Ontario. June 20, 1941 – to Coastal Defence + Anti - Aircraft – Halifax – Nova Scotia. July 31, 1941 – to 1st (H) Coast Brigade – Royal Canadian Artillery – Halifax – Nova Scotia. September 7, 1941 – to Coastal Defence + Anti – Aircraft – 106th Coastal Battery of Royal Canadian Artillery – St. John’s – Newfoundland. September 9, 1941 – appointed to rank of Gunner. October 4, 1941 – appointed to rank of Lance Bombardier. March 16, 1942 – to A 23 Training Centre – Fire Control – Halifax – Nova Scotia. April 5, 1942 – granted furlough from April 5 – May 8, 1942. May 1, 1942 – appointed to the rank Assistant Bombardier – Halifax – Nova Scotia. January 4, 1943 – to R.C.A.F. Station Botwood – Newfoundland. January 7, 1943 – Struck off Strength with R. C. A. F. Station – Botwood – Newfoundland. April 1, 1943 – appointed to the rank of Bombardier. His service does not indicate in any manner where Bombardier was or what he was doing between January 7, 1943 and May 12, 1943 with Maritime Command. At some point while he was stationed in Newfoundland Bombardier Taylor did 8 weeks of battle drill training and was able to run 1 hour with no difficulties. May 13, 1943 – to 103 Coastal Battery – Royal Canadian Artillery – St. John’s – Newfoundland. May 27, 1943 – Struck off Service with 103rd Coastal Defence Battery. June 20, 1943 – to 103 Coastal Battery. July 2, 1943 – Struck off Service with 103 Coastal Battery. From July 2, 1943 until December 15, 1943 his service records do not indicate where he was or what he was doing in that period. December 16, 1943 – to No. 6 Depot – Halifax – Nova Scotia. January 7, 1944 – granted Embarkation leave until January 19, 1944. January 10, 1944 – after interviews with military officials and medical examinations Bombardier Taylor is deemed fit as a parachutist. February 25, 1944 – to No. 10 District Depot – Parachute Wing – Winnipeg Manitoba. 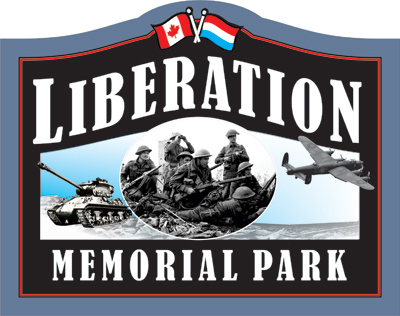 March 9, 1944 – to A 35 Canadian Parachute Training Centre – Camp Shilo - Manitoba. March 10, 1944 – appointed to rank of Private. 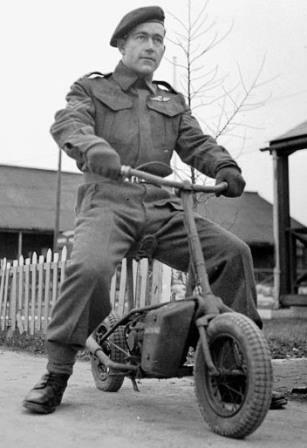 Prior to his parachute training beginning he was interview by Canadian Army medical staff. In their report they mentioned he was a superb marksman, they felt he took life seriously, he was co-operative, he was determined to fight, and that once his mind was made up there was no changing it. He now began his training to be a qualified parachutist. Recruitment of volunteers fell into 5 categories which were Outstanding, Superior, Average, Inferior but will accept and Rejected. Every man considered to be outstanding was accepted and worked toward become a qualified parachutist will the 1st Canadian Parachute Battalion. The training would fall into stages. Training was over a four - week period. 1) Physical Training. 2) Basic ground and low - level tower training. 3) high tower training – drops of 250’. 4) qualify with 5 jumps. Training Stage A) Gruelling exercises including Jiu – Jitsu and other hand to hand combat classes. was a 32’ high structure used to practice plane exit drills. It was felt that a parachutist must have the optimal physical and mental conditioning, as the key to survival was based on four principles…..
1) Speed: Paratroopers must be twice as fast as anyone else in battle as they had to make a decision ten minutes before others. 2) Simplicity: Simplicity allows speed and eliminated the possibility of errors. find themselves scattered over the drop zone. 4) Fire Effect: A paratrooper must be a sharp shooter and be proficient with a wide array of firearms, including those of the enemy. As a paratrooper carries little ammunition and equipment they must ensure their fire is on the target. They do not fire until they can see the white of the eyes of the enemy. April 10, 1944 – Private Taylor qualified as a Parachutist. June 24, 1944 – Private Taylor asked for and received permission to marry Miss Jean Irvine of Kippen – Ontario and was granted embarkation leave until July 2, 1944. July 8, 1944 – proceeding to Special Duty. Departs Halifax on July 11, 1944. Arrived in United Kingdom on July 19, 1944. July 29, 1944 – attached to Airborne Forces Depot School – Bulford Camp – Salisbury Plain – Wiltshire – England. The time there was used for jump training and battle training. 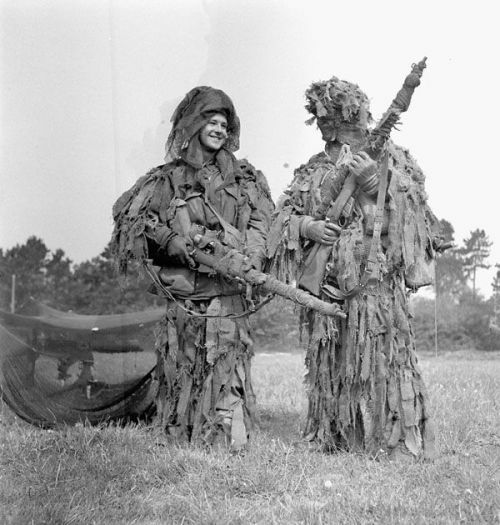 August 27, 1944 – Taken on Strength with 1st Canadian Parachute Battalion. Arrives in France on August 29, 1944. Between August 17 – 26, 1944, the Battalion was involved in the eastward advance to the Seine River. From August 27 – September 4, 1944 the Battalion rested at Mon Mauger. They had been on the continent since June 6th. On September 4th, troop carrying vehicles arrived and took the Battalion to a concentration area near Arromache. Departs France on September 6, 1944. Arrives in United Kingdom on September 7, 1944. The Battalion returned to Bulford to begin new training methods in preparation for an offensive role, including street fighting and capturing enemy positions. Departed the United Kingdom on December 25, 1944. Arrived in Belgium on December 26, 1944. The Battalion was in Belgium to help counter the enemy offensive in the Ardennes. (Battle of the Bulge) On January 2, 1945 they were committed to ground operations and were positioned to patrol both day and night to prevent enemy infiltration. The Battalion also took part in the general advance and this took them through the Belgian town of Aye, March, Roy and Bande. The capture of Bande ended the battle and the participation of the 1st Canadian Parachute Battalion. Between January 22 – February, 19, 1945 they are tasked with that are tasked with holding an Allied position near Roermond – Netherlands on the Maas River. Departed the American Expeditionary Force by air on February 22, 1945. Arrived in the United Kingdom on February 22, 1945. 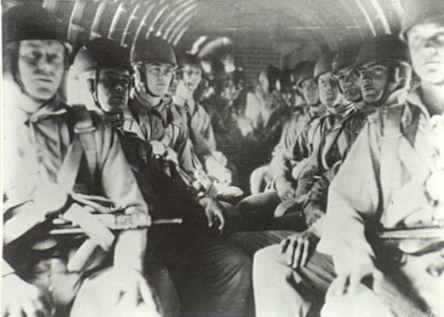 Following their return to the United Kingdom, the Battalion then went on leave until March 7, 1945 and upon their return they began their training for the last airborne operation of the war. This was the beginning of OPERATION VARSITY which involved 16,000 airborne troops and thousands of aircraft. It was to the largest airborne operation in history carried out over one day. The airborne troops were to help the surface river assault troops on the west bank of the Rhine secure a foothold across the Rhine. The Battalion had been ordered to seize and hold the central area on the western edge of the woods, where there was a main road running north from Wesel to Emmerich, and a number of houses. It was believed that enemy para troopers were holding the area. The drop zone was 6 x 5 miles. They awoke at 4 am from a restless sleep by the sounds of the movement of men and vehicles. The Battalion had been in their staging area for a week but in 6 hours time at 10 am it would be “drop time”. Each man packs his own gear and each is excited and nervous at the same time. They are checking their equipment, ammo, grenades and small arms. Each man is aware that on this day this operation is the final and most decisive phase of the war and if successful the Allied forces can break into the heart of Germany. The objective of the 1st Canadian Parachute Battalion is the town of Wesel and the village of Hamminkeln along with the bridgehead. The Battalion boards the trucks in the dark for the landing field and as they arrive dawn is breaking and all they can see are Dakota and their gliders being positioned on the tarmacs. Stomachs get tight and each man seems to be in his own thoughts. The process of picking up the chutes begins and once that is complete the equipment check begins along side their aircraft. The Battalion begins to taxi down the runway at approximately 7:30 am, and the aircraft circles and joins the vast armada that is making its way across the skies. The bucket seats in the aircraft / gliders are hard. At 9:55 am they begin to pass over the Rhine River below. The order “Stand up and hook up” was shouted out and the drop would begin at 10 am. The door is removed and there is a blast of air in the aircraft. The red ready light is now on and they can hear “firecracker” sounds coming up from below. Then the GREEN light is on and voices are heard shouting “GO”, “GO”, “GO”. Out they went and began dropping like rocks and the chutes crack open, they begin to start letting down their kit bags, keeping busy and they were aware of small arms fire coming up at them. Fatalities taken here. As they jumped they were caught in a cross fire coming from the west, from the north and from a clump of trees in the middle. It was here they lost 67 men. The ground fire had been so intense that many did not survive this to fight. The drop took 6 minutes and they landed on their targets. They hit the ground, release the chute and begin to move toward the rendezvous point at the edge of the woods 200 yards away. They were crouched low and running fast. They passed motionless men on the ground aware of enemy fire coming at them. At the rendezvous, a total of 6-8 men are missing. The third Brigade was to clear the drop zone and then establish a defensive position at the road on the west of the drop area. As well, they were to seize the Schnoppenburg feature astride the main road running north and south. They would then secure and hold this central area on the western edges of the woods, the main north/south road from Wesel to Emmerich and a number of homes. In addition, they were to hold the wooded area above the point where the majority of the Allied forces were scheduled to cross the Rhine. They also had to stop the German artillery from trying to stop the crossings and to stop any attempt by the enemy to reinforce. They were assigned to knock out enemy gun pits, fortified farms and take the village of Bergerfurth and finally take the high ground to the south. “C” Company were to clear the northern part of the woods near the junction of the roads to Rees and Emmerich. Once this was secure. There objectives took 30 minutes. “A” Company would advance through and seize the houses located near the drop zone. Their objectives were achieved in 1 ½ hours at 70% strength. “B” Company would clear the south-west part of the wood and secure the flank. They achieved there objectives in 30 minutes. The majority of the casualties came from heavy enemy machine gun fire and sniper fire. A letter dated April 20, 1945 was received expressing regrets regarding the death Of Private Hoffman while serving his country in the North-West Europe theatre of war. The letter also stated that the Minister of Defence and the Army Council send their sympathies during this time of bereavement. It was signed by Major A. E. Walford per the Adjutant General. A letter dated August 7, 1946 from Colonel C. L, Laurin the Director of Records per the Adjutant General arrived stating that Private Taylor had been reburied with full honours and rites at Groesbeek Canadian War Cemetery and that the family was invited to send a short personal message that would be engraved on his gravestone. In 1948 a letter arrived from a Miss R. Croones telling the family that she and her sister visit the grave of Private Hoffman and place flowers at his grave. The family writes her back and thanks her. 1 lighter, 2 coat hangers, 2 cap badges, 1 note book, souvenir coins, 1 electric iron, leather laces.